After the death of his wife, Carson Drew (SAM TRAMMELL) decides to leave Chicago behind and make a fresh start with his daughter in River Heights. 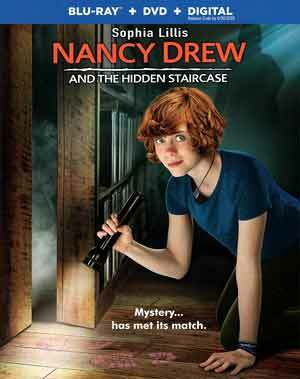 But for 16-year-old Nancy Drew (SOPHIA LILLIS), life in a small town is mighty dull. She longs for excitement, adventure and the chance to make a difference. Nancy gets the opportunity when she is asked to help solve the ghostly activity at the Twin Elms mansion, Can she help explain the creaking footsteps, exploding light bulbs and ominous creature? Is it the handiwork of high-school bully Derek Barnes (EVAN CASTELLOE)? Or is it possible that the ghost of original owner Malcolm Colfax is back for revenge? Recruiting her best friends George (ZOE RENEE) and Bess (MACKENZIE GRAHAM), along with local “mean girl” Helen (LAURA WIGGINS)), Nancy is determined to solve the mystery. This release comes with a semi-glossy slip cover and inside a redemption code for the Digital HD copy. Not exactly stacked with features, there is A Sleuth, a Girl and an Inspiration (8:58) and Pink Footprints: Touring Twin Elms (4:44) behind-the-scenes featurettes and a Gag Reel (3:13). 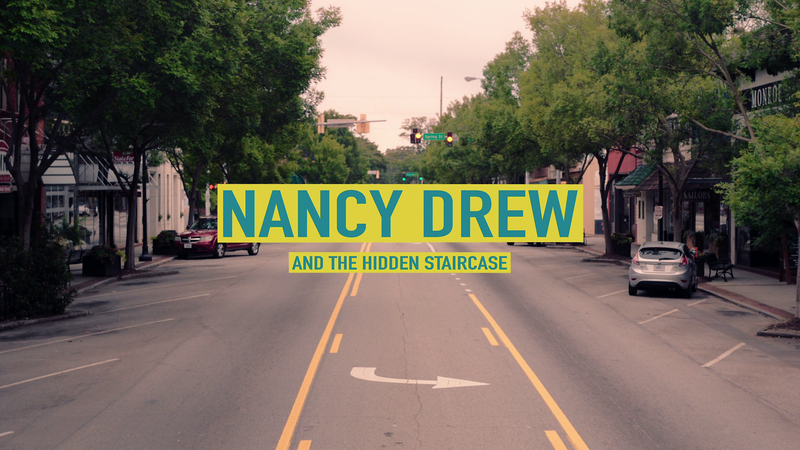 Warner Brothers Home Entertainment releases Nancy Drew and the Hidden Staircase onto Blu-ray presented with an open matted 1.78 widescreen aspect ratio (theatrically it was 1.85) and a 1080p high-definition transfer. Being a family-oriented movie, this is a bright looking movie anyway so colors are fairly vibrant and on the whole, it’s a fine looking video transfer with sharp detail and no major or obvious flaws. The disc includes a standard but serviceable DTS-HD Master Audio 5.1 track which is fine for a movie of this caliber with crisp and clear dialogue levels coming from the center channel with some minor usage of the front and rear speakers for ambient noises and/or the generic score. 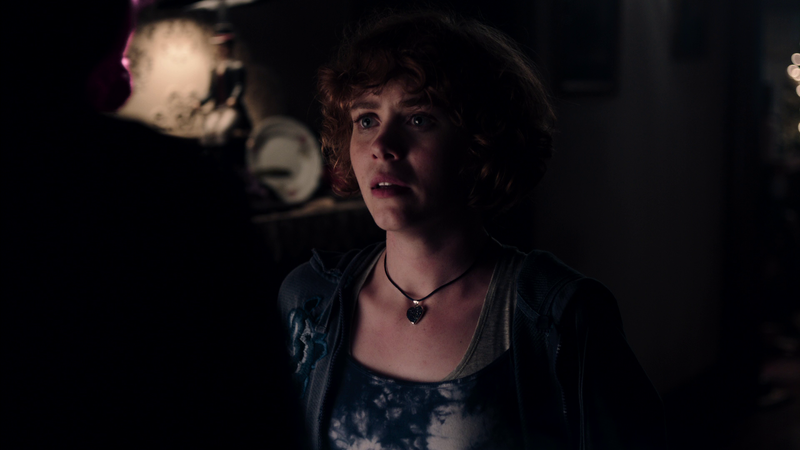 Overall, Nancy Drew and the Hidden Staircase is by no means a good movie but perfectly fine for a family film and star Sophia Lillis was pretty good in the role, hopefully she gets another shot in a sequel (with a better script).